The light bulb is one of the wonders of the modern world. Found nearly everywhere on the planet, light bulbs are so common and widespread that it’s easy to forget how dependent we are on them. The “light bulb” is an electric light source that’s technically called a “lamp”. This term is, of course, also more commonly used by consumers to mean a portable type of lighting such as a table lamp or a desk lamp. 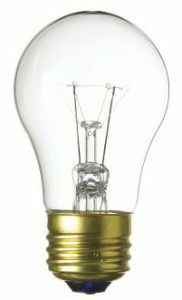 The most common type of “lamp” or bulb is the incandescent light bulb. These types of bulbs are the oldest and simplest form of bulb technology, dating back to Thomas Edison’s experiments with filament types back in 1879. An incandescent bulb works on the principle of incandescence, a general term meaning light produced by heat. In an incandescent type of bulb, an electric current is passed through a thin metal filament, heating the filament until it glows and produces light. 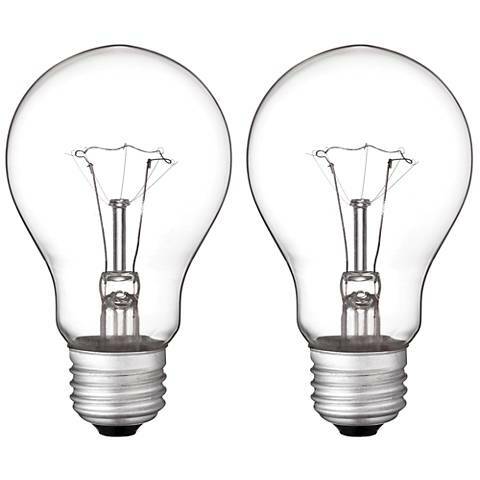 Incandescent bulbs typically use a tungsten filament because of tungsten’s high melting point. A tungsten filament inside a light bulb can reach temperatures as high as 4,500 degrees Fahrenheit. A glass enclosure, the glass “bulb”, prevents oxygen in the air from reaching the hot filament. Without this glass covering and the vacuum it helps create, the filament would overheat and oxidize in a matter or moments. After the electricity has made its way through the tungsten filament, it goes down another wire and out of the bulb via the metal portion at the side of the socket. It goes into the lamp or fixture and out a neutral wire. This is an elegantly simple system and it works quite well at producing light. It’s perfect for a wide range of applications, cheap and easy to manufacture, and is compatible with either AC or DC current. Unfortunately, it’s not particularly energy efficient. Only around 10% of the electric power used by an incandescent light bulb produces light. The other 90% is emitted as heat. Because of this high heat output you’ll see incandescent bulbs used as heating lamps, grow bulbs and incubator lights where heat output is actually an asset. With incandescent bulbs being as energy inefficient as they are, several newer technologies are now vying to replace them, including CFL bulbs and LEDs, or light-emitting diodes. Some legislation is even in place to phase out incandescent light bulbs in favor of more energy efficient forms of lighting.